Widely known as one of the most geographically diverse provinces in all of Canada – Nova Scotia has no shortage of spectacular landscapes and seascapes. With that said, it shouldn’t be that hard to round up a list of 15 natural wonders in Canada’s second smallest province? Wrong! With so many stunning natural features it’s hard to keep the list at 15, but I’ve narrowed it down to these beauties and in no particular order. 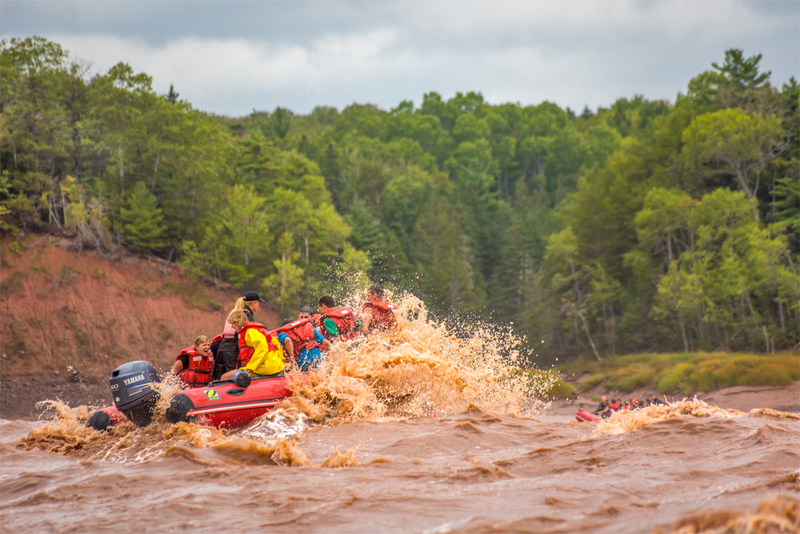 The Bay of Fundy could very well be Nova Scotia’s greatest natural wonder; however, with such a large area to cover, let’s narrow it down to a few of the features along this great body of water. As the world’s highest tides force billions of gallons into the bay daily, erosion is inevitable. 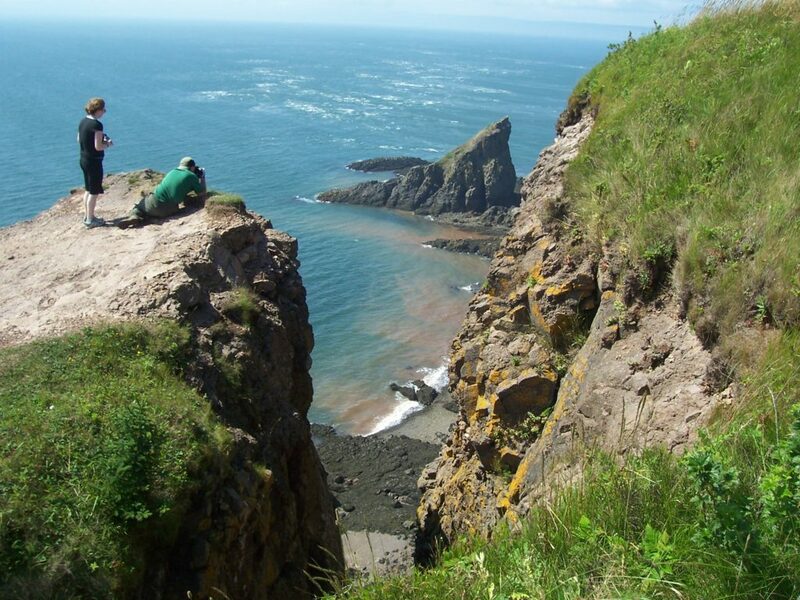 Near the mouth of the bay lies Cape Chignecto Provincial Park and its crown jewel are the 3 Sister’s sea stacks. 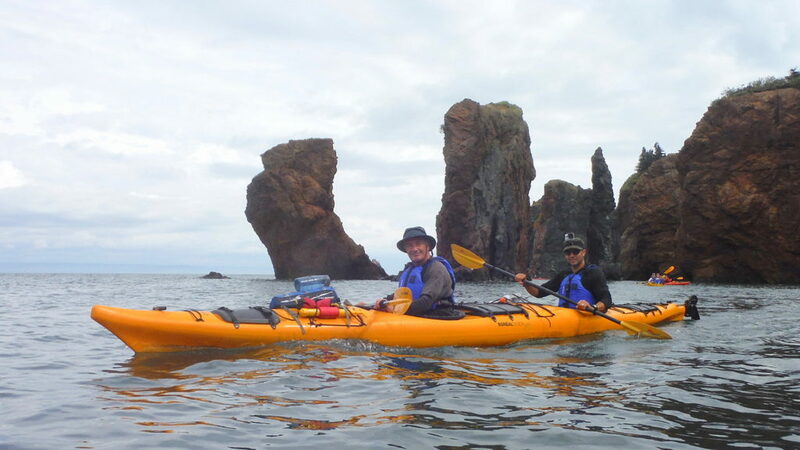 Arguably the highest sea stacks in mainland Nova Scotia, these red rhyolite cliffs were created some 400 million years ago from volcanic eruptions which were violently forced upwards and eroded over millions of years leaving behind three distinct rock towers which can be explored during high tide by way of kayak or by foot during low tide. 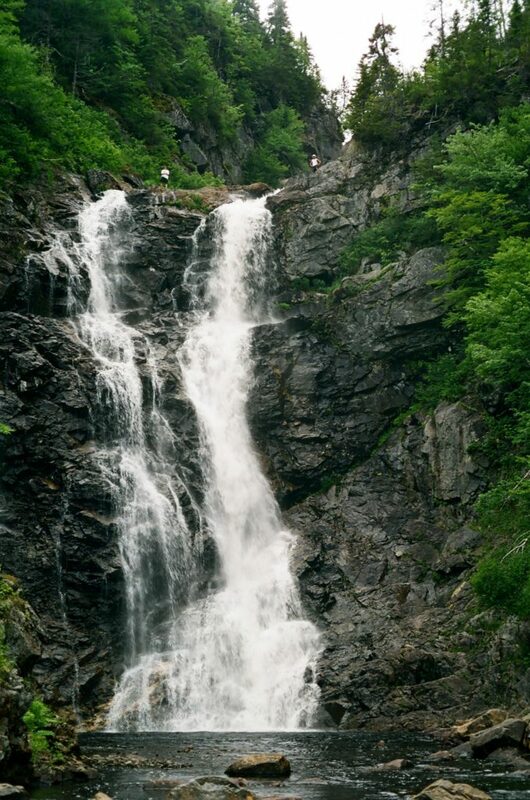 For a province known for it’s coastline, Nova Scotia sure has a lot of waterfalls; hundreds in fact! 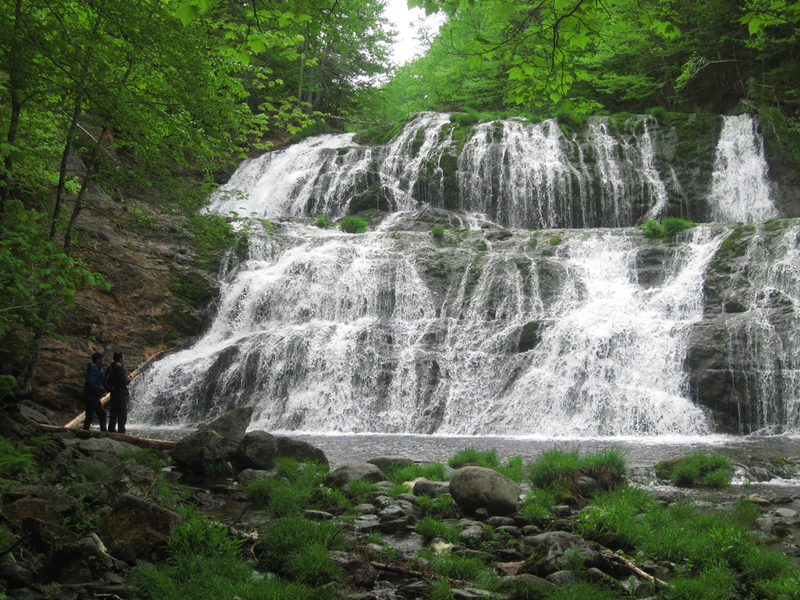 These falls are located in Cape Breton near the island’s largest freshwater lake – Lake Ainslie. The area was once home to one of Cape Breton’s most well known bag-piping families and many locals to the area still call it “Piper’s Glen” falls. A unique two tiered falls which is wider than they are tall; cascading down green moss covered rocks in a deep valley. A perfect place for a summer dip, to read a book or capture these splendid falls with your camera. 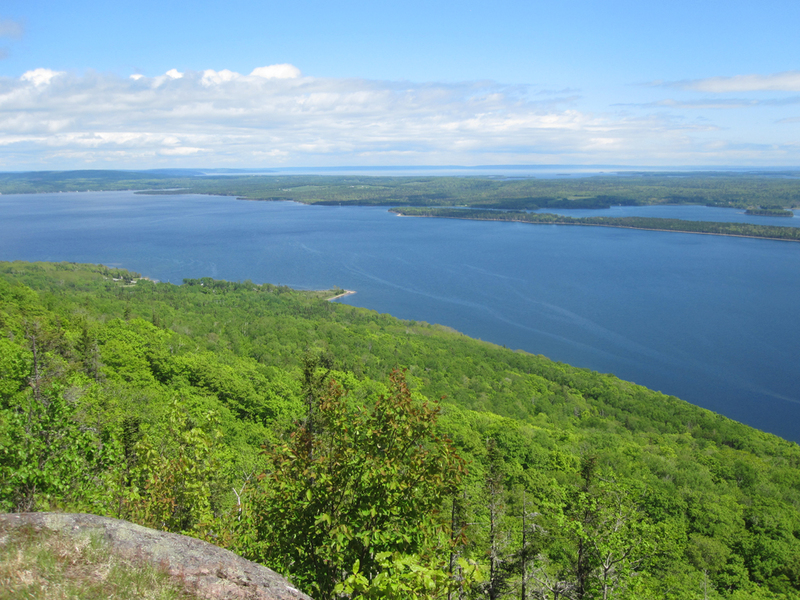 Known as Canada’s inland sea, this series of brackish lakes are a sailor’s dream and bird lovers’ oasis. The lakes cover an area of 1100 square km’s and are 50 km wide and a staggering 100 km long. Near the lower end of the lake you can spot song birds, freshwater fish and osprey gliding over the waters in search of a meal. In the upper reaches where the lakes meet the North Atlantic and the increase of salinity occurs, marine life including seals, whales and puffins are abundant. The lakes were designated a UNESCO Biosphere Reserve in 2011. 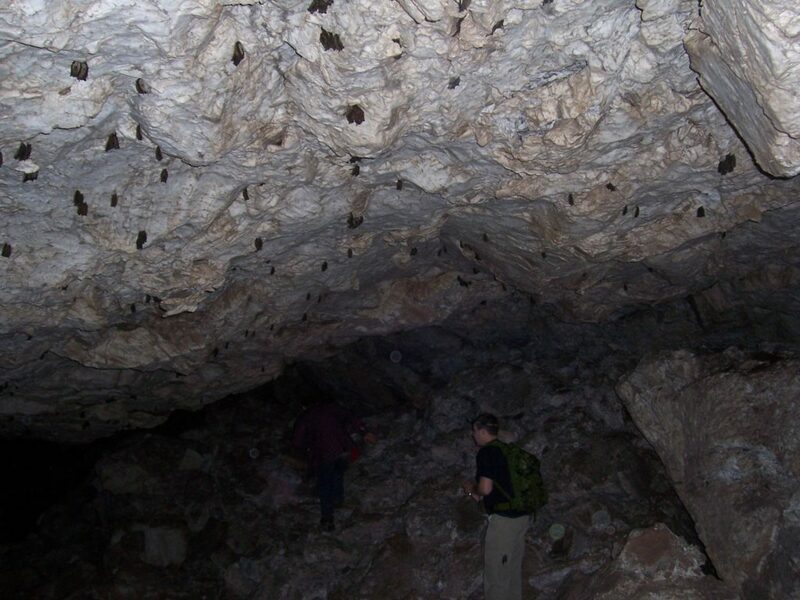 Up until only a few short years ago, this gypsum cave system which measures nearly three football fields long was home to over 9000 brown bats – the largest colony in the province. Since then most of the population has been whiped out due to the deadly “white nose syndrome” which was discovered in 2011. Although your chances of seeing bats in the cave nowadays are slim, the cave itself is quite the sight. With ceilings up to 60ft high, huge gypsum boulders and tight caverns to explore, Hayes Cave is one of the most impressive cave systems in the province. Many Nova Scotian’s are unaware that this impressive island even exists. The island sits 18 km from the mainland and right smack in the middle of the Bay of Fundy and the world’s highest tides. With sea cliffs measuring up to 330ft high, this 3 km long island resembles that of a pirate ship from nearby Advocate Harbour. Locals have even claimed the island moves and appears to be floating on occasion. With a history dating back thousands of years when the Mi’kmaq used the island for making tools, to pirates using it as a camp and burying valuable treasures here to more modern times when a island housed a lighthouse keeper and his family, Isle Haute is a real diamond in the rough. Nova Scotia is known as “Canada’s Ocean Playground,” hell it even appears on our license plates; this list would not be complete without listing at least one beach. 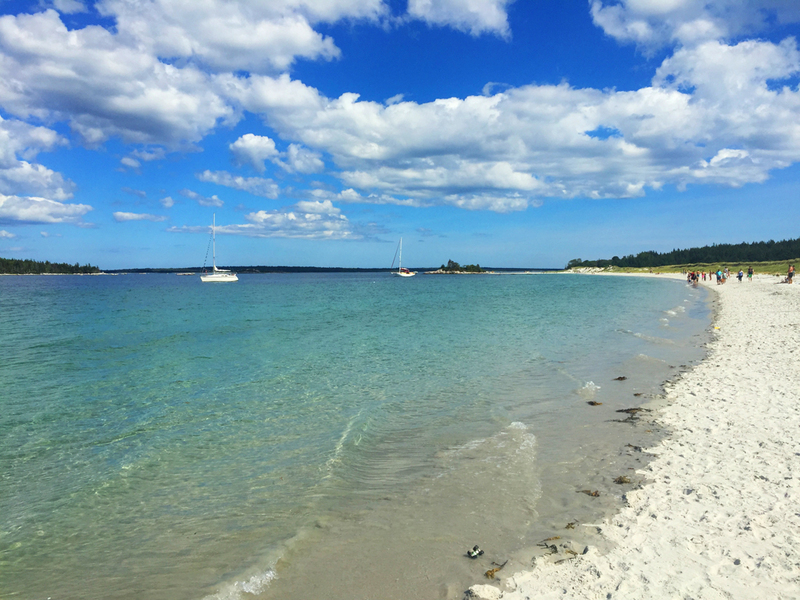 With so many beaches to choose from how do you pick just one? How about a beach where the sand is as white as you would find in Mexico, or waters as turquoise as the Caribbean? How about a beach that’s only frequented by a view lucky vacationers and locals. Pack your beach blanket and flip flops and head for Carter’s Beach, easily one of the most stunning beaches in the country let alone the province. Many from Europe or western Canada for that matter might argue with you when referring to our highlands as mountains in Nova Scotia. Sure our mountains may not be nearly as high as the Canadian Rockies or the Alps, but they possess a character of their own and Meat Cove Mountain is one of my favorites. As you slowly navigate the seamlessly endless dirt road into Nova Scotia’s northern most community, you can’t help but marvel over the rocky peak which stands out above the green lofty mountains surrounding it. The 2km long 1050ft summit ridge offers captivating views of the Cape North, the Gulf of St Lawrence, the village of Meat Cove below and the V-shaped river valley snaking its way through the highlands. Designated as Canada’s 15th UNESCO world heritage site, these fossil-filled cliffs are certainly a sight to be seen. 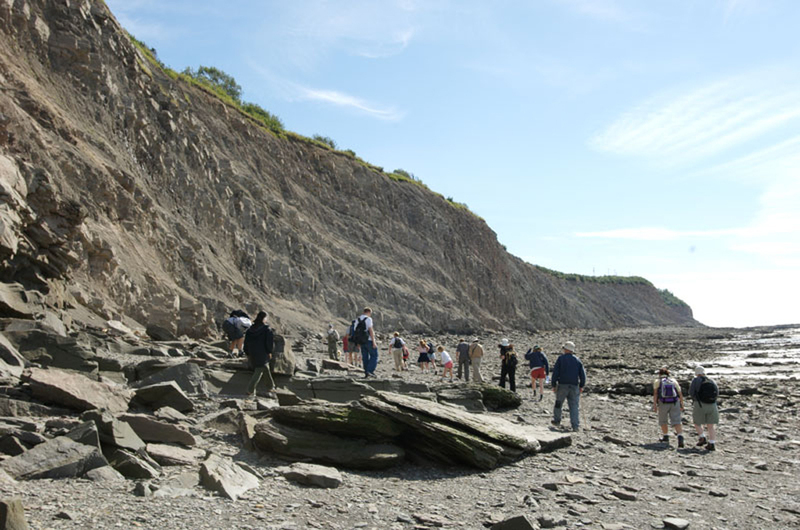 The infamous tides of the Bay of Fundy have only recently uncovered and exposed one of the world’s richest deposits of fossilized lifeforms from the Coal Age – some 300 millions years old. With whole trees – many of which still upright, amphibians and various footprints lining the rocks, this place will give you a glance of what life may have looked like so many ions ago. It’s hard to believe looking around the area today with it’s rocky shoreline and massive tides that this was once a Tropical forest before being swallowed by the sea. One of my perfect places on the list and easily one of the most beautiful places in Atlantic Canada. Throughout the summer you may encounter Shambhala monks walking the trails, wandering moose or spot whales and seals playing off the coast hundreds of feet below. Not only that but, if your’e lucky the semi-wild horses of Pollett’s Cove may make an appearance. With the lofty green mountains looming over the river which snakes it way through this romantic cove, this place will surely win your heart over. Although for years many believed these falls were the highest in Nova Scotia, recent findings have found that there may be at least two waterfalls in the province which would dwarf these falls. Despite no longer being able to claim the status of “highest in Nova Scotia,” these twin falls deserve to be recognized on this list. Standing over 100 ft tall, the water comes leaping in two separate shoots down a vertical rock wall, joining near the base before meeting the dark pool below. Often bald eagles soar above the trees here in this box-shaped valley deep in the Cape Breton back-country. A majestic sight in any season including winter when the falls are transformed into a mass of ice and frozen jewels. This tidal phenomenon occurs in only a handful of places around the world. A small tidal wave that is caused by large amounts of water being forced into a narrow passage or river. Here in Nova Scotia with the world’s highest tides, we experience this act of nature every day, twice a day. During a full or new moon when the gravitational pull is at its peak, the waves created from the high tides can reach up to 10-12 ft in height and be traveling at an incredible 15 km (10 miles) per hour. Best part of all, you can ride these waves by way of a sturdy zodiac. Legend has it that the Native God known as Glosscap once lived in a nearby sea cave near the base of Kelly’s Mountain. Trying to impress two maidens on the shore he leaped into his canoe with great force, breaking the watercraft in two pieces which would become the Bird Islands. The ladies would be turned to stone for mocking the great Glooscap. The islands which sit at the mouth of St Ann’s Bay are home to the largest Puffin colony in Nova Scotia. The islands also support a great number of Common Eiders, Arctic Tern, Mergansers, Kingfishers, Cormorants, Great Blue Heron and Bald Eagles, not to mention hundreds of Grey Seals. This may very well be the biggest surprise on the list for readers, considering most people had no idea we have slot canyons in the province; until now that is. Nova Scotia has a number of these unique canyons and the George Fraser Canyon is one of the most impressive. 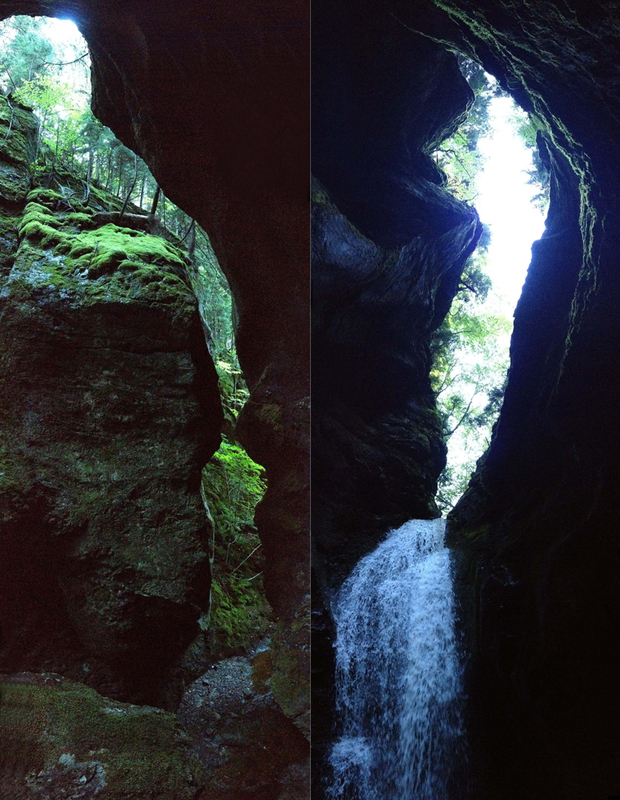 Carved out by fast flowing water and ice for thousands of years, this canyon is found in the Cobequid Hills and is crowned by a 25 ft waterfall at the far end of this narrow gorge. The entrance of the canyon measures only a few feet across before opening up to a dimly lit canyon which contains an open ceiling roughly 80 ft high. The surrounding rock walls have been rounded and smooth from the river waters and draped with vibrant green mosses. Yet another entry located in the Bay of Fundy and for good reason. A volcanic extension of the North Mountain range which runs the entire length of the Annapolis Valley, this is one of the province’s most recognized natural wonders. With cliffs towering over 250ft high and the world’s highest tides causing quite the stir far below, the area is well known to locals and visitors alike who trek the 16km round-trip hiking trail to see this awesome look-off. 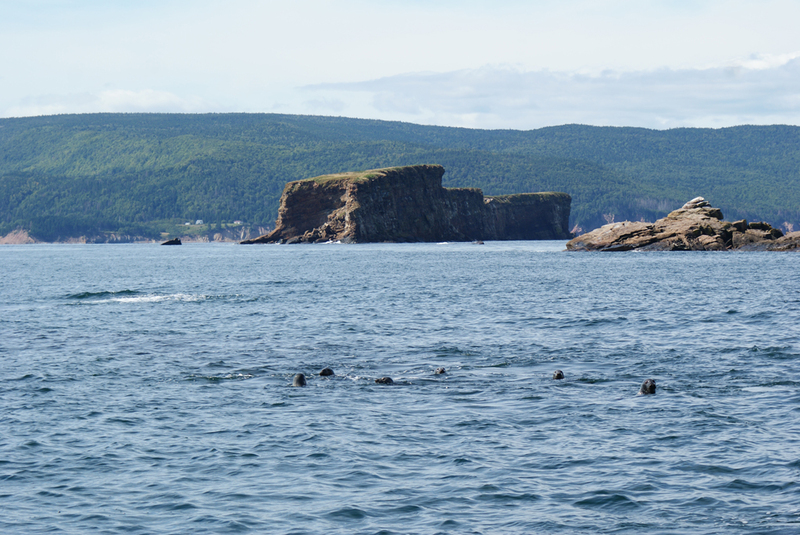 The 4-5 rock towers which have been split from the mainland are home to numerous screeching seabirds and the subject of many postcard like photographs of the area and the Bay of Fundy in general. Last but certainly not least is a unique cave which contains ice for most of the year, apart from a few months in the midst of summer. Really just a giant sink hole found in a land filled with a sink holes and small caverns commonly referred to as “karst topography” by geologists. This massive hole was created by underground rivers and streams carving out a large chamber which over time would widen, leaving behind a deep cavity below the earth’s surface which measures roughly 45 ft wide and 60 ft high. This gypsum cave was once home to hundreds of wintering bats, but much like Hayes Cave was hit by the “white nose syndrome” which left very few remaining brown bats. The cave is at its most impressive in the winter when massive icicles hang from the ceiling and surrounding walls. Absolutely stunning. Great place to vacation. Awesome article! Bucket list material for sure. I live here and have been to many of these beautiful places. Apparently I’ve missed some. … start the car! Fantastic choices! I thought I knew a lot about Nova Scotia, but I learned a lot from this post. I’m totally with you when it comes to Cape Split, that place is amazing! Also, I really loved your photos of Joggins Fossil Cliffs. My suggestion for a natural wonder, is Balancing Rock, on Long Island waaaaay down the Digby Neck. It’s maybe not someplace that everybody goes to see, but you can find out info about how to get there on this website http://brierislandguide.com. Maybe Balancing Rock will make it into part two of Nova Scotia Natural Wonders?? So many beautiful places ! Wonderful article ,with excellent description. Wish the tourism department or someone could develop & distribute a directional map for Egypt Falls. So many people have difficulty making it to this destination. I work at a small store in Margaree Valley, just off the end of an Egypt Road & you wouldn’t believe how many people stop here looking for directions ! A bit disappointed that ‘Cape Clear ‘ didn’t make the list !! Nevertheless, it’s still spectacular. Also, from personal experience, to canoe/ kayak along the white cliffs (gypsum ?) Along the base of Kelly’s Mountain , is also beautiful. You can meander in & around a couple of little inlets. Very pretty. Just put in by the restaurant, where you turn to head to the Gaelic college. Heather you can rest assured the Balancing Rock will make the second edition of this list. With such incredible response to this blog post (55,000 views and counting) I have already begun composing another list of 15 wonders. What else would you like to see on the next list? i am originally from the annapolis valley and currently living in alberta working but nova scotia is always home for me, it has a beauty that has no match. and the people are the most awesome, generous and friendliest in the country and the world. it is a definite must to visit the annapolis valley if you travel to nova scotia. i miss it terribly but it is only a plane ride away. What about the ovens in Lunenburg county or the Balancing rock on Long Island in Digby county??? I can honestly say that even though I have explored this province since I was a wee little lad, there are always many more places on my list to visit and explore, including some you have mentioned here Sandra. Gonna have to sit over a coffee with you and compile another list for future adventures. Nova Scotia -also has a south shore with breath taking scenery. Love love LOVE this list. Along with some of the place that have been mentioned for 2nd edition, I suggest you consider: 100 Wild Islands for day trips or wilderness excursions. We spent 4 days camping/canoeing there and saw only one other soul. Turquoise water in one cove, just like Carter’s! Another place: Hiking along the shoreline in Clare. Can send you a suggested trail that’s a good challenge. Simpler ones also including a wee maze of simple trails called “Le Petit Bois” behind the church as Sainte Anne’s University in Church Point. And kayaking in the Tusket Islands is, well, beyond wonderful. As is paddling into the Tobeatic to Sporting Lake and visiting Heritage Island (never cut … like walking into a cathedral). There a birding hike in Briar Island that’s also spectacular. List of amazing places in NS is just endless, eh?! Thrilled to see such a wide audience you have for this Ryan. Great job! Access to many of these sites is over private land. One should be mindful to not cross over private lands without permission from the landowners. 3 Reasons Why I Love Nova Scotia!